Great home design doesn't mean it costs more; it simply means careful attention to every aspect of the home and how it lives. It is orderly and thoughtful, and the final product creates a connection between the buyer, home and greater community. 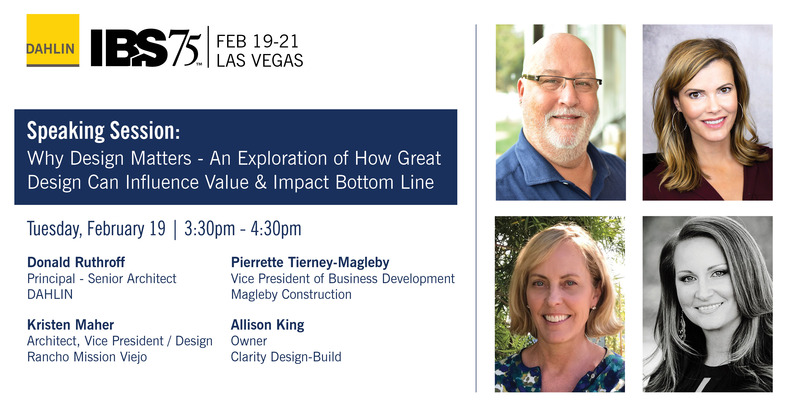 In this session, hear how three home builders each approach design, why it's at the core of every home they create, regardless of the price point, and how it influences the purchase of their homes. Explore the integration of floor plans and elevations to create a completely authentic design package that creates value and positively impact their bottom line.